To be superhuman, to be the absolute best of all time — is an unattainable goal, placed just beyond our limits in order to motivate us to keep pushing. For most, it is but a distant pipe dream. For Capricorn, it is the expected outcome of their lives. It is only the beginning of greatness for these individuals. Capricorn are hard nosed, expecting only the best of themselves and those who surround them. They plan everything to a tee, and make it seem as though everything happens seamlessly. 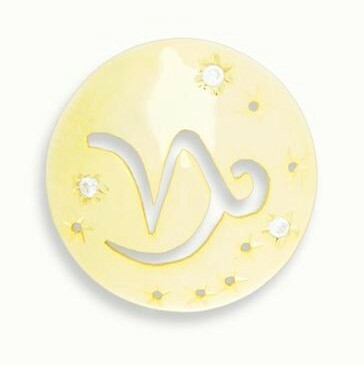 Capricorn are extremely hard working, often having no problem giving up sleep and other basic necessities to accomplish their tasks. 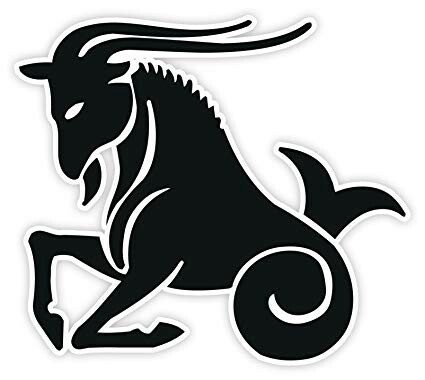 The Capricorn symbol is represented by the sea goat. It has the hoofs of a goat and the tail of a fish. Capricorn are known as the “work horses” of the zodiac. The symbol itself represents the prominence and ambition of these over-achievers. 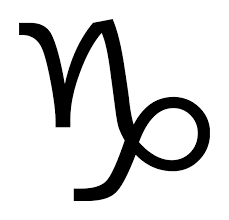 However intimidating, intense, and unapproachable they appear, Capricorn are extremely soft hearted. When someone does finally attract their attention, Capricorn turn all of their energy towards them. Their affection, like everything else in their lives can seem a little too intense. Though if a Capricorn shows their affection, you will never ever doubt that you are their number one priority. Claurete’s depiction of the Capricorn symbol shows the sharp edges of the Capricorn personality and their conviction and unrelenting effort. The curve running underneath the body of the symbol is the steady and prominent base. Capricorn are fearless and tenacious, and will not let anything stop them from achieving their goals. Finally, the curve at the end represents their prestige. Capricorn are obsessed with success and need to justify to themselves that they are always at the forefront; that they are majestic and prestigious individuals. They shun lethargy and excuses with a cold shoulder — seeing them as unnecessary weaknesses. Capricorn will always expect others to perform on their level and see no reason why anyone should shy away from their full potential; 24/7. Although Capricorn are stubborn and overly intense, they are simply striving to be the best. They want nothing more than to better the world around them. In their eyes, by being the best that they can be, they will place themselves in a position to make a significant change in society. Through all of their turmoil, Capricorn show immense amounts of love to those that they truly care for. Once you are in a Capricorn’s circle, you are protected for life. Capricorn will do anything and everything to ensure the success and safety of their inner circle. They will happily be the gate keepers and work horses for the group. Learn to look past their hard exterior. Inside is a heart of gold. Capricorn, although it may not appear this way, do bleed the same as everyone else. They feel, they love, and they hurt. However misguided it may sometimes be, they want only to care for the ones they love. Place your trust in Capricorn and they will return that trust ten fold. The Zodiac Pendants by Claurete are more than just jewelry. 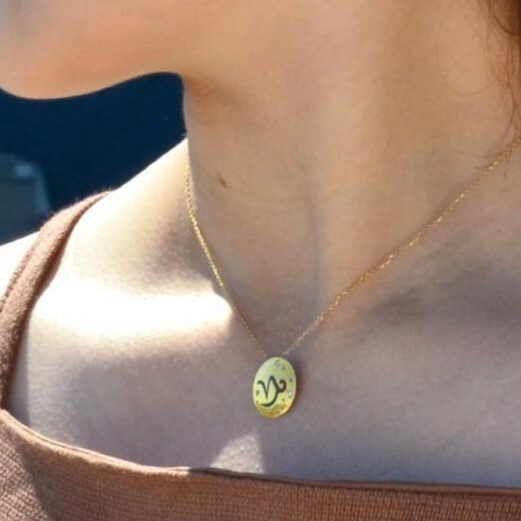 The gold pendant is the wearable representation of your soul. Capricorn — you are the defenders of the world. You push the pace of innovation and will die trying to save humanity. Do not stop trying to achieve your goals. Though, stop and smell the roses occasionally. Erich has 6 years of experience in the government, having held positions in parliamentary protocol, and in public relations. He has experience in dealing with top level executives – from politicians to high level delegations and conferences. Erich is currently a Marketing Specialist with Curexe and the Founder of Hop In.